SANTA BARBARA, Calif. ÛÒ (February 27, 2014) ÛÒ Bring Back the Mile, the national campaign to elevate and celebrate the iconic distance, has announced HOKA ONE ONE as a BBTM sponsor. HOKA ONE ONE, with its revolutionary shoe design, is expanding beyond the ultra and trail running market. ÛÏWe heartily welcome HOKA ONE ONE as our first major Bring Back the Mile sponsor,Û said BBTM Founder Ryan Lamppa. going after a sub-4 minute Mile,Û stated President of HOKA ONE ONE Jim Van Dine. In addition to the BBTM sponsorship, HOKA ONE ONE is sponsoring a number of athletes, including Nicole Schappert (Mile PR 4:30.65) and Mike Rutt (Mile PR 3:57.18) of the NJ/NY Track Club as well as 2013 USA Masters Road Mile champion and 2008 Olympian Magdalena Lewy Boulet. 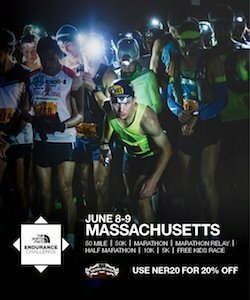 Go to www.bringbackthemile.com or contact media@bringbackthemile.com for more information. standard in the sport, in the media and in the publicÛªs mind.